Hi All- just took delivery of a 2019 RR SC. I have the following showing on my incontrol. It’s showing the OTA button in the upper left but then I see the version is 18D. I joined the RR to my homes wifi and hit the update button. No update available. You need 19A, then the dealer(appears to be dealer only right now) needs to activate SOTA via TOPIx, then you or the dealer runs the SOTA update. Ok so I am on 19A, and if I login to TOPIX and put in my VIN, ten click on "view all vehicle details", I get the below, which suggests I should be good to go. But I still get "software up to date" when trying an OTA update! Forgive my ignorance...what is SOTA and how does the dealership turn it on? Software Over The Air (I assume) since I've mostly use the term OTA Update (Over The Air). You'll need to get to v19A to have the option of doing updates over WiFi or cellular data. Once you get this version and turn it on. Future updates will no longer require a dealership visit. Download the software @ home and update @ your own leisure. Last edited by michaeltw; Today at 09:23 PM. 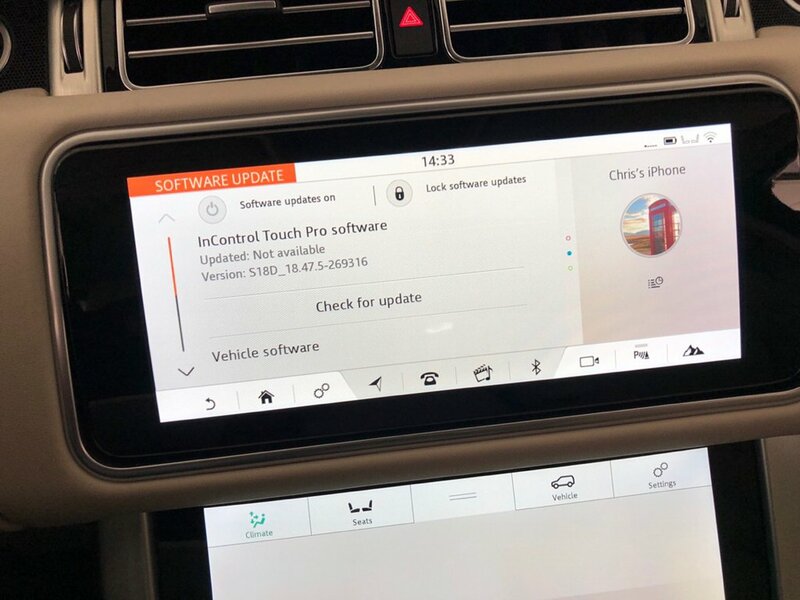 19A is the version you need to have not 19A2, 19A enables you to receive OTA 19A2 is the first update that will ONLY be available via OTA but you will need to have your service center activate your vin.